Posted on October 22, 2014, in Mavericks, Yosemite and tagged beachballing, crash, hot mac, Mavericks, pin wheel, slow mac, spinning, yosemite. Bookmark the permalink. 2 Comments. I downloaded FT2 onto my late 2011 MacBook Air running OS 10.10, and when I try to try to use the analyzer, nothing happens. I’ve got issues with Safari and maddening pop ups for MacKeeper and other types of annoying software companies. I’m a novice, and I’m trying to get rid of these issues. Any suggestions? Type ‘FastTasks’ in the filter/search bar. Copy and paste the output, if any, into an email. 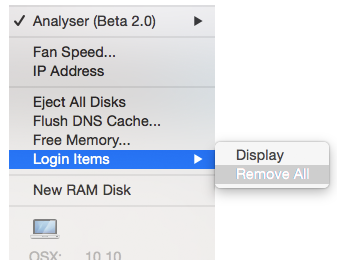 With it highlighted, control-click and from the contextual menu choose Services > Reveal In Finder. Either a folder will open or you’ll get an error message. If a folder opens and contains a file called ‘ft2.log’, please attach a copy of that file to your email. If there’s nothing in the folder or the folder does not exist, please let me know.